I recently cried at a bloggers’ brunch. We were a small group of moms meeting with author Gina Otto in the conference room at Krupp Kommunications in Manhattan. Coffee, food, Gina’s story and then tears. Gina’s story reads like a fantasy. 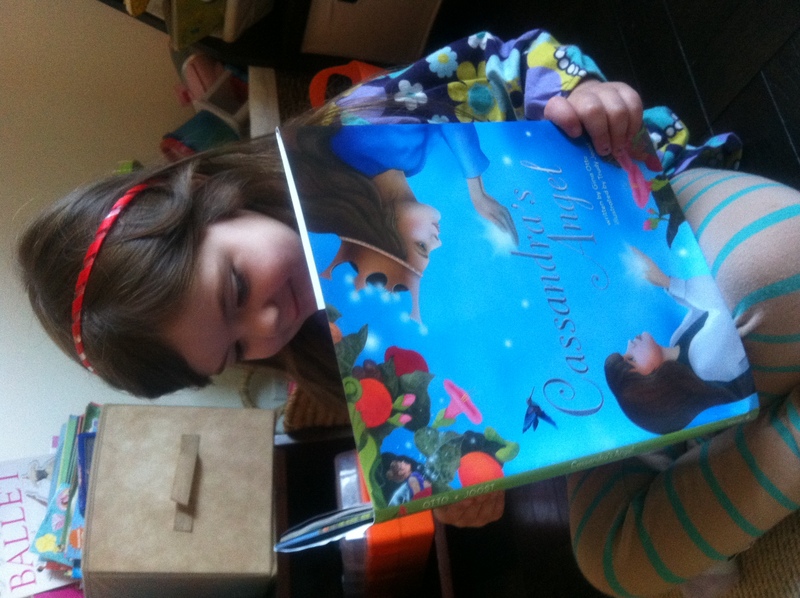 Her book, Cassandra’s Angel, is allegory and it is lovely, meaningful, simple and important. Its message is that of acceptance, kindness, and self-worth; importantly, it is directed at children. It is now being made into a Broadway musical, and Gina is launching a website called Change My World Now, where young people can connect safely online, in a protected environment (this is crucial of course!) and learn very real ways to impact different areas of our world: animal rights, politics, environmental issues, homelessness, etc. Back to Gina. I would like to be her best friend, or more accurately, I’d like her to be mine. She is calm and meets your eyes when you speak with her. Her extensive background in film, television and fashion is impressive and not surprising once you speak with her. Gina is articulate about her experiences in what she calls, damaging media. She left a lucrative career suddenly when the price of it became clear–impressionable young girls get degrading, oppressive messages from mainstream media regularly about their looks, their bodies, their hair, their worth. There was little to counteract those messages–to show them as the falsehoods they are–so Gina founded her mission-driven multi-media and social enterprise to help empower children around the world. Our conversation over brunch was so moving, so insightful that most of us were in tears at some point, discussing bullying, eating disorders, racism and other hurtful by-products of our society. It was, for me, a rare and crystalizing moment. Many of the topics I have wanted to bring into my writing, bring out from my own history and my own heart, were on the table. As a mother, as a writer and as a woman who was once a little girl, the message of Cassandra’s Angel, Gina’s message of a self-acceptance that is stronger than the fears and doubts of others, resonates deeply. I had chills through that morning’s discussion and have had them since just reading my children the book. I have two little girls and a little boy. I don’t think I could mother them, guide them, sometimes yell at them (it’s true) and always love them without knowing the “light” in my own consciousness. I feel inspired and lucky that we have writers like Gina to give voice to the weakest, most vulnerable places inside all of us. I covered this brunch for Momma’s Gone City. I received the musical’s soundtrack and two copies of the book to take home. All opinions are my own.